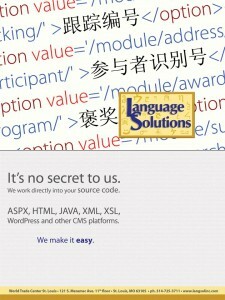 Website localization and translation...where do you start? Are you searching for website localization and translation services and find the information overwhelming? Not sure where to start? If your organization is in the first 4 stages of Localization Maturity, you may want to consider a company that can work with you on your particular needs and advise you of your options. We won’t tie you into a particular technology that may limit you but we’ll look at the options that are available to you for your website localization project. If you are beyond the first 4 stages, then you need a partner that can work quickly with you to understand your business objectives, integrate with your localization team and identify any issues early, integrate with technology and your processes and be your partner. 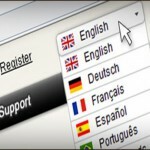 If your website is in WordPress and you want to have it translated into another language, you have a few options. Most importantly, you are going to have to consider how to get your content exported out for translation and then how to import it back in. There is a plug in developed by a translation firm that is inexpensive and works to identify the particular content you want to translate and it then routes it out. Check it out – wpml.org. However, with this option, you do need someone in your IT department to manage that for you. This is a great project management piece for you to utilize on your end and it allows you to export out to any website localization and translation service you choose. If you don’t think you have the IT support for this option, WordPress does allow you to export out content….however, not selectively. It will allow you to export posts out by date or author but not individual posts. This doesn’t work well for organizations that only want some content translated but there are workarounds to this. See our case study here on how one company worked with us on this challenge. While WordPress is one example of a content management system, it is certainly not the only one. Your organization may have a proprietary CMS or one off-the-shelf like Ektron, Sitecore, or one of many others that are out there. 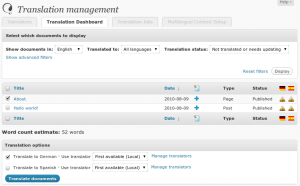 So you do content marketing and you want to have it translated. Again, you are going to look at the export/import process. One of the many options that you may come across in your research is that there are quite a few translation firms with their own technology that can plug into your CMS for translation or that have a Proxy solution. However, what we want you to consider is whether that system allows your content to be downloaded externally or if it’s all translation in the cloud. We recommend that it be allowed to be downloaded externally and that is because you will not change the way translators work. Translators work in varied CAT Tools. 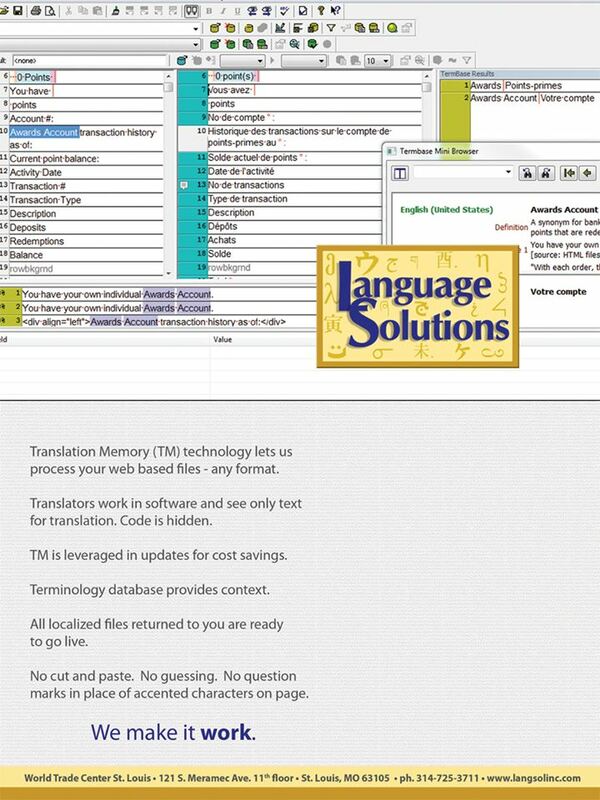 This is not machine translation but technology that allows them to be more efficient and create a “memory” of your translation – an asset for you when you want to do updates. This can not be done with a cloud solution and that is why most translators will want to be able to download the file externally for your website localization and translation project. These tools help to save you time, costs and ensure consistency if used correctly. 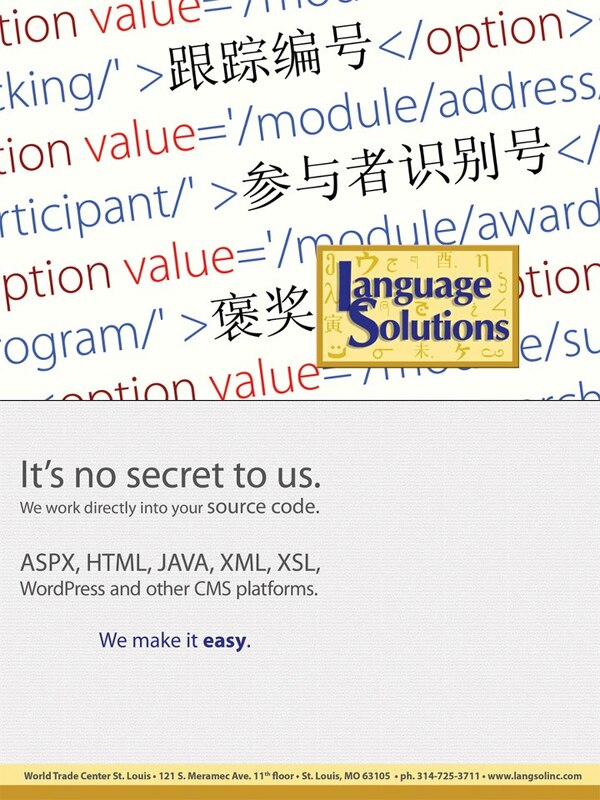 Translators use these tools to work in your website localization and translation project because these tools allow us to process the web based files, whatever their format, and isolate just the text for translation while protecting the code. If you require the translator to work in a cloud based tool, they may not have experience with that tool and therefore, they don’t use it correctly or efficiently. They also may not want your project because they don’t like to work in new technology and they know their limits. So now your pool of talent is limited. We work in technology that is used by a majority of translators yet also works with other tools. 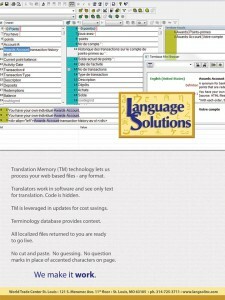 We don’t prescribe the CAT tool for our translators but work with them on what they know best. This is where the benefits of certified localization project management come in and project managers that are technically advanced. So do you plug in and get connected via technology from a particular translation company or do you want another option? So now you’re on export. You want to look at the export utilities that you have. You can also consider a middle-ware solution developed by others in our industry that will connect into your CMS and be the routing option for your content. 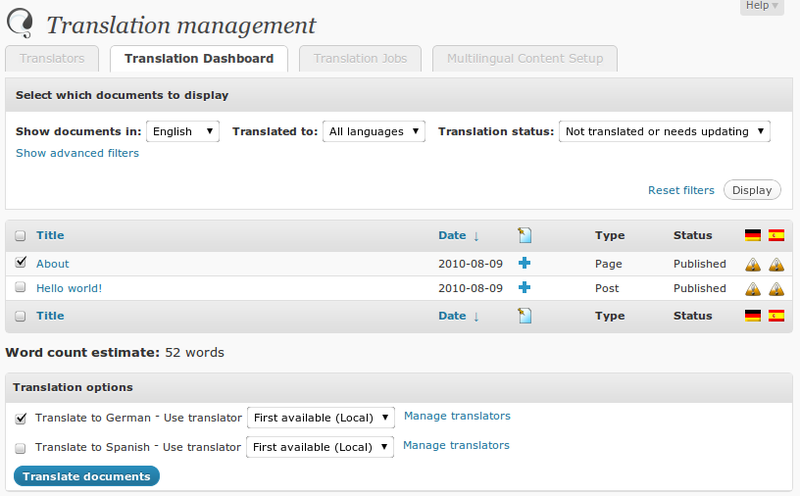 That allows you to choose the translation firm you want to work with – this is just the connector to export/import your content out. This middleware solution typically has to be tied into your API so you will need IT support. You can also consider a proxy solution in which your site is mirrored and hosted elsewhere and then it is translated and localized from there. You may not like the idea of your site hosted elsewhere or being tied to another company for that but if you don’t want to have your IT department involved, it may make sense. You may decide not to use any connector and to export it out to Excel as an option instead but be aware that it tends to export out the coding along with it so you need a translation service company that knows how to deal with that. See our case studies again for how we handle that with one company. We’ll be writing more on this subject to keep you informed and educated on your choices with website localization. Do feel free to give us a call or tell us about your challenges. We want you to know your options so that this is not a black box project for you. We work with companies on website localization and translation services and can work with you on your particular project with its own specific needs. Read more on our website localization services here….